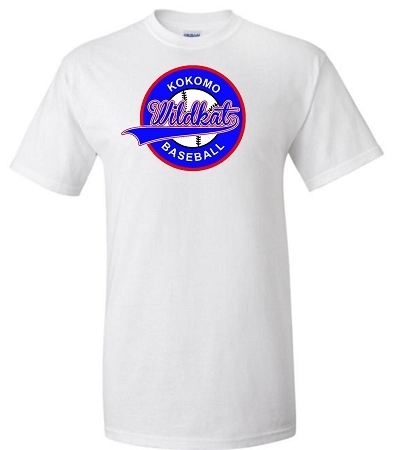 This Kokomo Wildkat Circle Emblem tee is the classic tee and a perfect way to show your support in the stands. Have it customized by adding your favorite players number added to the front baseball. Customize it even more by adding a name or number to the back for an additional charge. Add them both and save. Comes in white only. Jazz this shirt by upgrading to all glitter vinyl. It will be sure to get attention.